Here's a hot deal for JoJo Siwa fans! Get this Just Play JoJo Siwa Singing Doll for $13.19 (Retail $19.99)! I'm grabbing this for my daughters Easter Basket. -It's jojo with the bow-bow! 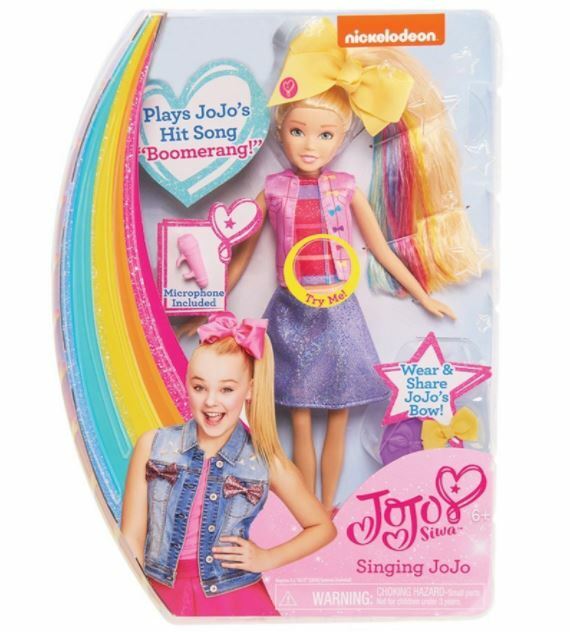 sporting her signature oversized yellow bow, this 10″ jojo doll sings her hit song, "boomerang!" -Includes a pink microphone accessory!